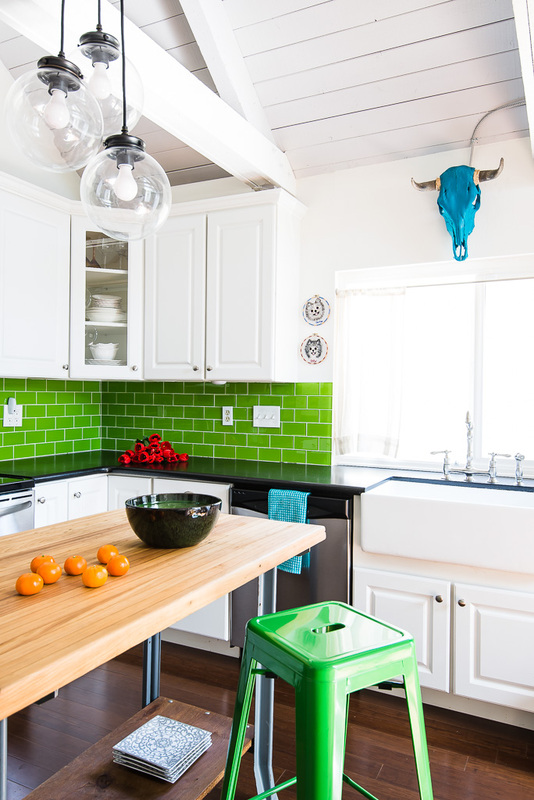 We added bold accents to this white boho bungalow with lime-green tiles, unique accessories, and Jet Black counters. 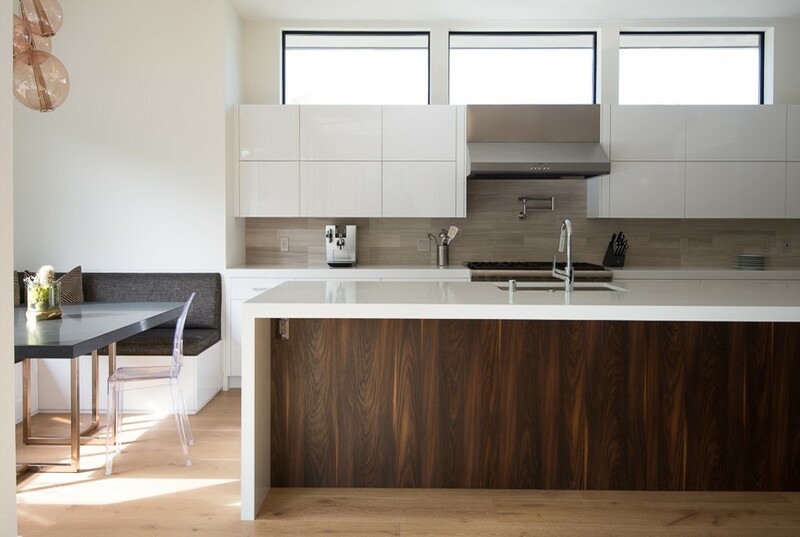 The moveable island is a great addition to the space and doubles as a dining table. 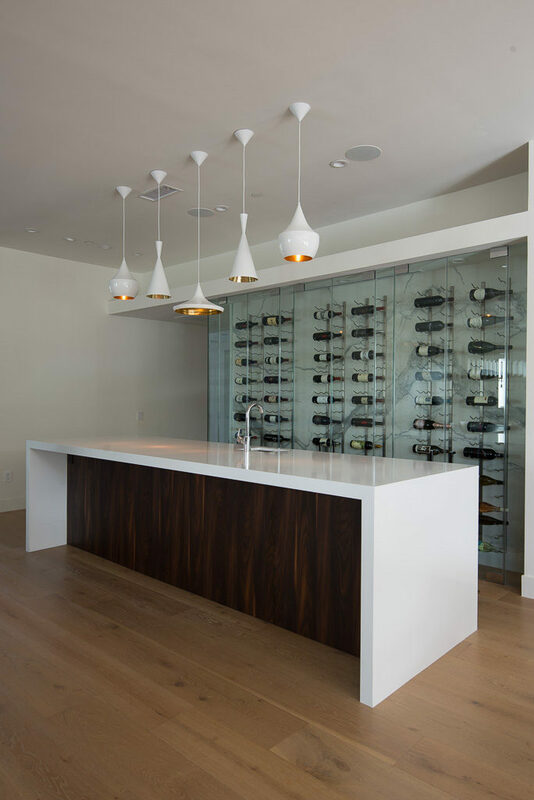 Melissa Morgan Design, a boutique design firm serving Newport beach and Laguna beach has been featured in Caesarstone”s blog the “Interior Collective”. The designer spotlight highlights many of the projects that have distinguished Melissa Morgan Design as a top design firm in Orange County California. Here’s a look at one of our favorite projects, Spyglass Hill in Newport Beach, CA. Our client lives in the laid back beach community of Newport Beach, CA. When we met with her to discuss her vision – a sophisticated, modern style – we were thrilled to have the opportunity to bring it to life. We wanted to create the perfect place to host “girls night in” yet ensure durability so her two rambunctious boys could feel at home, whether doing homework or playing inside. We modified the table using a honed black granite slab from Arizona Tile and paired it with brass table legs from CB2. The result? A one-of-a-kind, custom nook top that their family will love for years to come. To tie the whole look together, we added black and gold pillows from Lee Jofa, Kelly Wearstler Groundworks and unique cluster lighting from Arteriors. 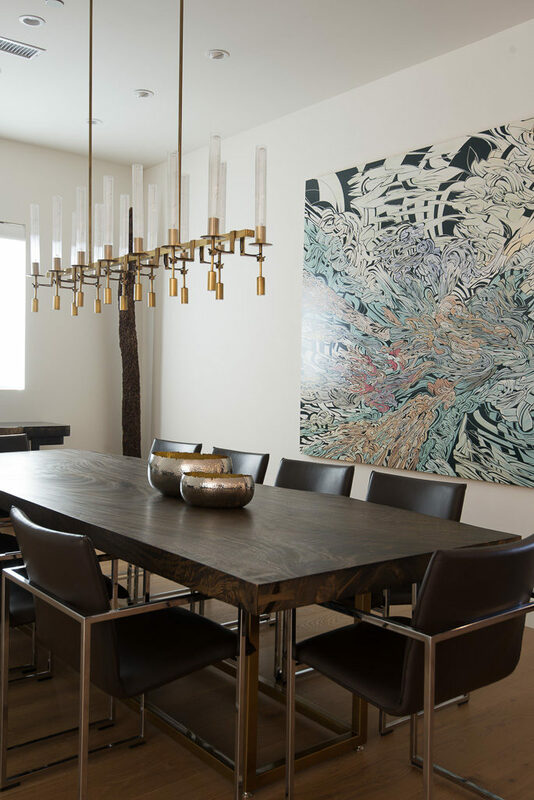 Our client kept a few original design pieces such as the wood table, chairs and abstract art piece. We added a bit of luxury with this chandelier from Restoration Hardware Modern, to bring out the brass accents even more. Just past the expansive entry door, we created a custom wine bar with a luxurious look that definitely does not disappoint. With a temperature controlled wine wall, waterfall edge bar, and funky lighting, even Carrie Bradshaw and her girl gang would feel right at home. Lighting – Tom Dixon: The Beat Family. Specifically the Beat Fat Pendant, Beat Tall Pendant, and Beat Wide, in white. If you’re interested in even more modern and contemporary design inspiration, discover more looks from the Melissa Morgan Designer spotlight on Caeserstone’s blog.